-- Short Bolt Sale - April 15 & 16 - we will have a short bolt sale of fabric from Quilting Treasures. The fabric on these bolts are less than 10 yards and you must take the entire bolt. We will NOT be cutting fabric from these bolts. You and your friends can always share the cost and split the bolt when you get home. -- Quilting Treasures Presentation - April 16 - Mike from Quilting Treasures will be doing a presentation on the Evolution of Digital Fabric. Mike will also have some demos and patterns to show. There will be door prizes and giveaways. The times are 10:00-12:00 and 6:00-8:00. You MUST register to attend. Space is limited to the first 24 registrants for each event. There is no cost, but again you must register. 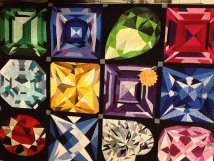 -- May 4 - "Jewel Box" Block-of-the-Month (BOM) -- On May 4 we will begin a BOM class of "Jewel Box" patterns by MJ Kinman. Cindy Bingaman will be the instructor and she is a Certified Gem Affiliate proudly representing MJ Kinman/Textile Artist. You can find more information on Cindy Bingaman at abcquiltingstudio.com and information on MJ Kinman at mjkinman.com. MJ Kinman's "Jewel Box" is a 12-block progression pattern. Each block has a unique challenge. This challenge is perfect for the confident beginner to learn new skills with a fun and forgiving pattern; as well as a never boring construction for the advanced level. Class will start on Saturday May 4 at 9:00 AM. After that, on the first Saturday of each month we will meet to dive into a new gorgeous Gem. It's a blast to create each one and when you finish the last one you have the"Jewel Box" to wrap yourself in the softest bling that will make any Diva jealous. The "Jewel Box" BOM will not be presented in the birth month order. April's Diamond Heart is the most difficult of the Gems and is the last block to be made. The patterns build skills progressively. We save the best for last. The first BOM class will be the longest, lasting 5-6 hours. If the student does not complete the block in class, they will have a good understanding to be able to finish on their own. Each class thereafter will be approximately 3-4 hours. The program is fun for everyone! There will be a birthday party for every student participating in their birth month. Everyone likes a party and everyone likes to feel special. Cindy will also show some samples of various items you can make with these Gems, other than a quilt. We need to have at least 3 in the class, and a maximum of 12. The cost will vary depending on the number of students. The more students, the lower the cost. We are still working out the cost details but it should be about $75 for 3-5 students to $45 for 10-12 students. The cost includes the instructor fee, pattern and fabric for each month. Talk with your friends and encourage them to sign up with you. Remember - space is limited but the more in class, the lower the price. Our new address is 240 Gill Street, Alcoa TN 37701; less than 1/2 mile from our former location. Our Spring/Summer hours are: Monday 9:00 - 8:00; and 9:00 - 5:00 Tuesday thru Saturday. We are again participating in the American Patchwork & Quilting pillowcase challenge. Thanks to you we surpassed our 500 pillowcase goal in 2018, donating a total of 756 pillowcases to our two charities. We are aiming for the stars this year and setting a goal of 1,000 pillowcases. We will be donating pillowcases to the same worthy charities as last year - Blount County Foster Parent Association and Blount Family Promise. To date we have received 58 pillowcases. Thank you to our friends in Newark Ohio for their donation of 11 pillowcases. APRIL FEATURE -- Our feature for the month of April is purple fabric. All purple fabric will be 20% off. CLASSES -- Our class schedule is up-to-date on the website. Please be sure and check out some new, and repeat, classes we have available. If you have a special class you are interested in, please let us know and we will try to get one scheduled. HANDICAP RAMP - We have a portable handicap ramp for people who need assistance into our store. If you are in need of this, please call ahead or have someone come in and let us know. NOTE: Shipping cost will be determined at time order is filled. The quoted amount is an estimated cost. Cost will be lowered if applicable. Twisted Sisters Quilt Shop is a locally owned quilt shop in Alcoa, TN offering a wide selection of fabrics, notions, patterns, books and more. 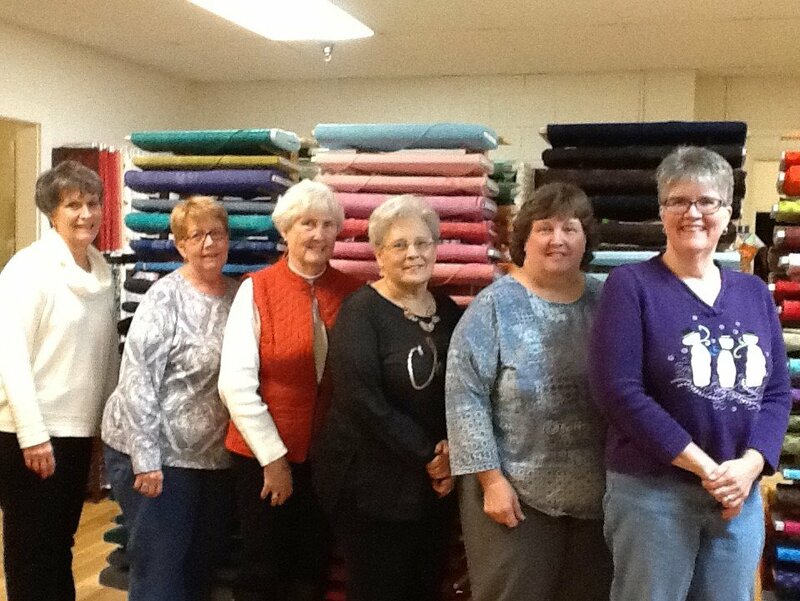 We offer a variety of classes for all skill levels as well as long-arm quilting and binding services. We are located near the beautiful Smoky Mountain area. We are a member of the Blount County Chamber of Commerce. This class will aid you in turning your treasured T-shirts into a memory quilt. This class will guide you through the steps to complete one of Laura Heine's Beginner Collage Quilts. Laura's Cat or Puppy pattern are recommended for beginners. 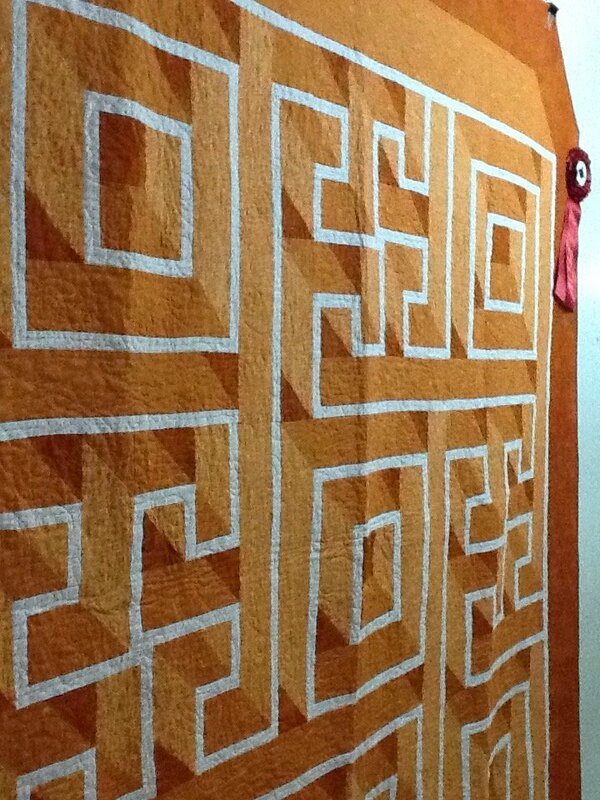 The Lone Star Quilt pattern is a wonderful traditional pattern. We will use modern techniques to make the star. And, learn how to sew the Y seams to attach the star to the background. Cost is an estimate - it will be updated when we receive information from the instructor. We have an award winning quilt in our shop. 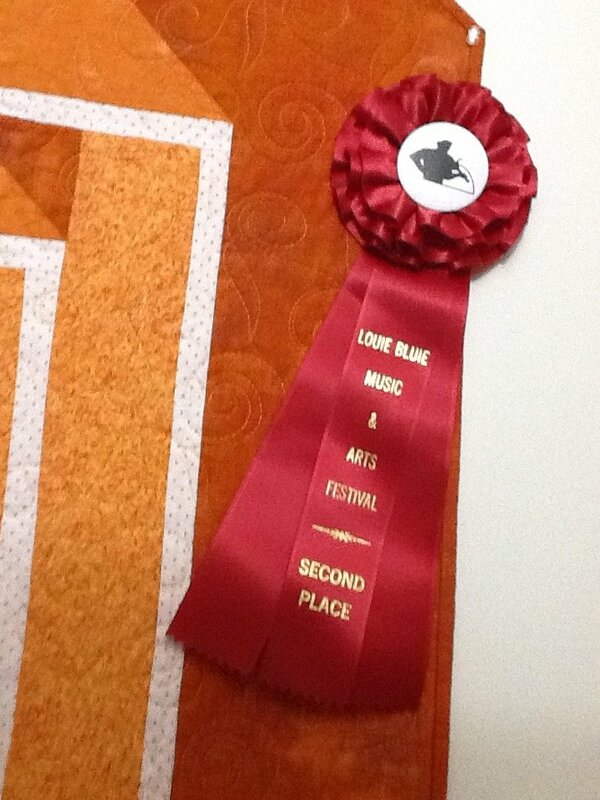 Sassy won second place in the Louie Bluie Music & Arts Festival. Congratulations Sassy!